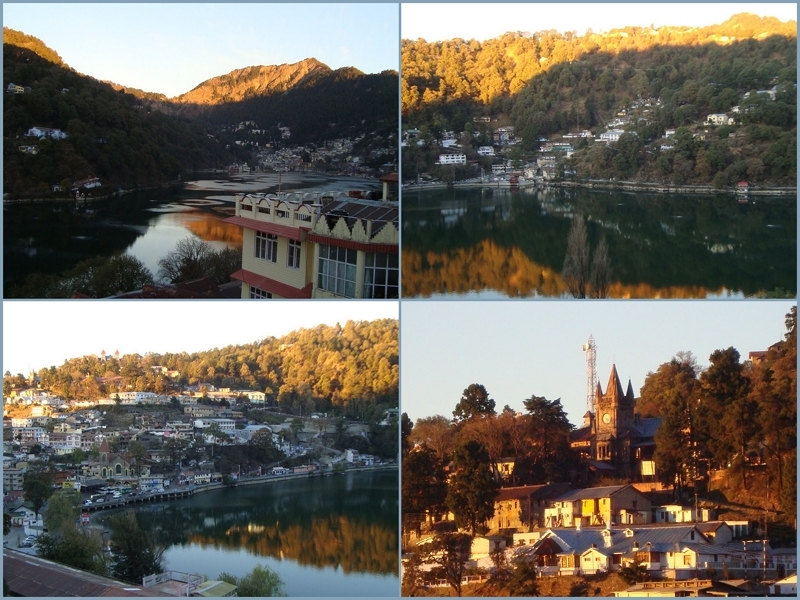 Nainital | Exploring Mystic India! A quick four-day getaway that too one in the beginning of the month of March was something I never thought we could’ve planned bang in the middle of a recession. But still while I sprint across the house trying frantically to make it to work on time, my husband was busy booking tickets for our departure to Nainital. And before I knew what was happening I was in my boss’s cabin asking him to sanction me a quick break! I was back home packing everything I could remember that we would need for our brief stay. 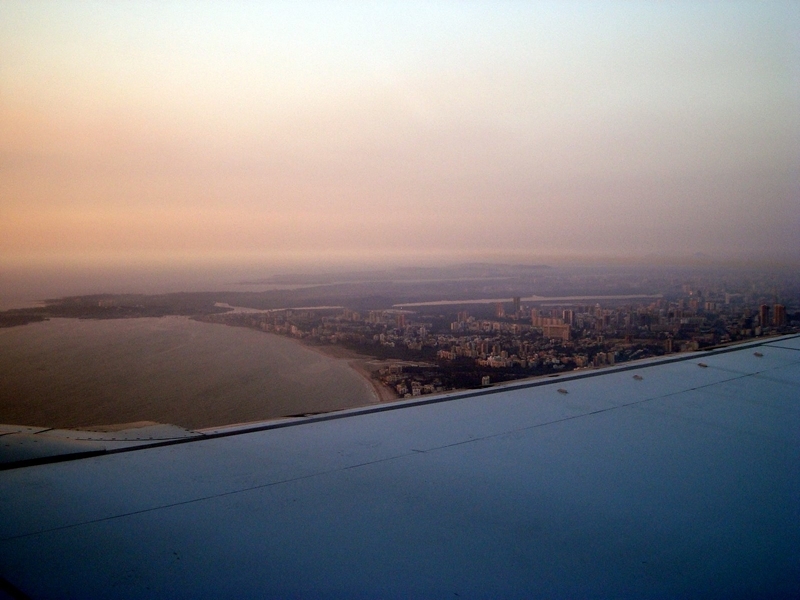 We caught a 17.30 flight to Delhi the very same evening (and actually made it before time!!) and where on our way to a magical place I never dreamt I could visit so soon. We didn’t really start on a very promising note. For beginners our flight was late for takeoff, and after a bit of taxiing, we were told we were seventh for takeoff!! So we finally landed at Delhi airport after 20 more minutes of taxiing on the Indira Gandhi Airport runway at 20.30 and headed right away to the Anant Vihar ISBT. En route to the bus station, we caught a glimpse of the beautifully lit India Gate, but since it was night and no traffic on the roads, we couldn’t halt long enough for me to fish out my cam and take a few snaps. We took a 23.00 bus to Haldwani. 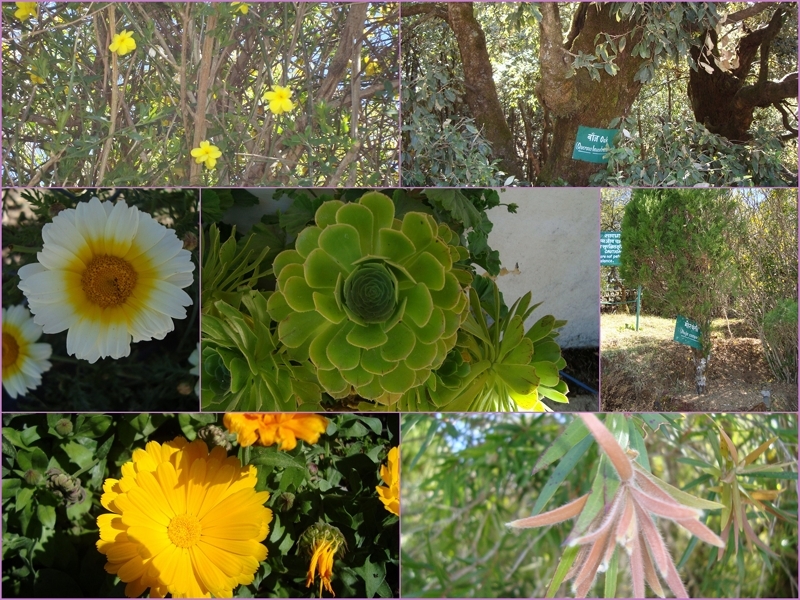 Haldwani is situated at an hour’s distance from the Nainital bus stand and is also called as the “Gateway to Kumaon”. If you decide to take the rail, the nearest rail head to Nainital is Katgodham. 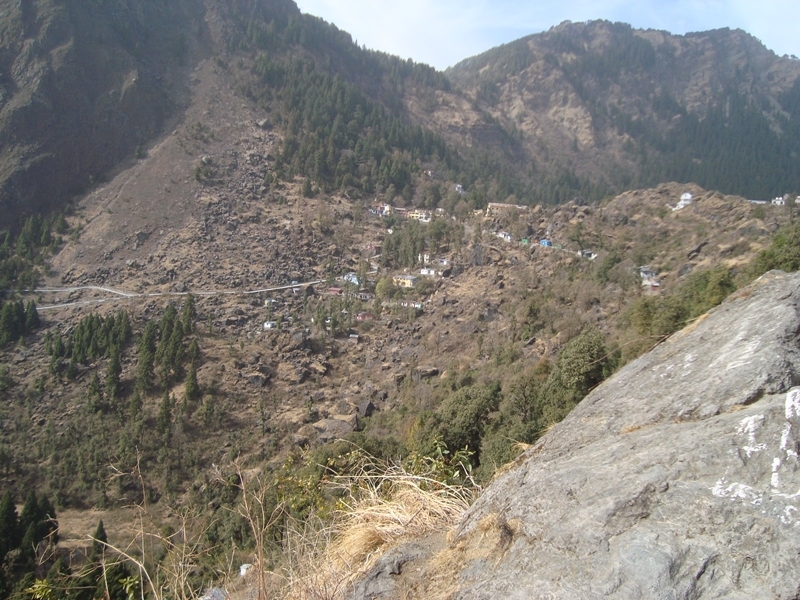 Haldwani also connects Katgodham to Nainital by road. We reached the Haldwani bus depot at around 6.00 in the morning and by 7.15 we were strolling on the cleanest roads in the country! The weather was extremely chilly at 17 degree Celsius which was bone chilling cold for us city folks. Since we were on an “off season” visit, finding a room wasn’t so difficult. 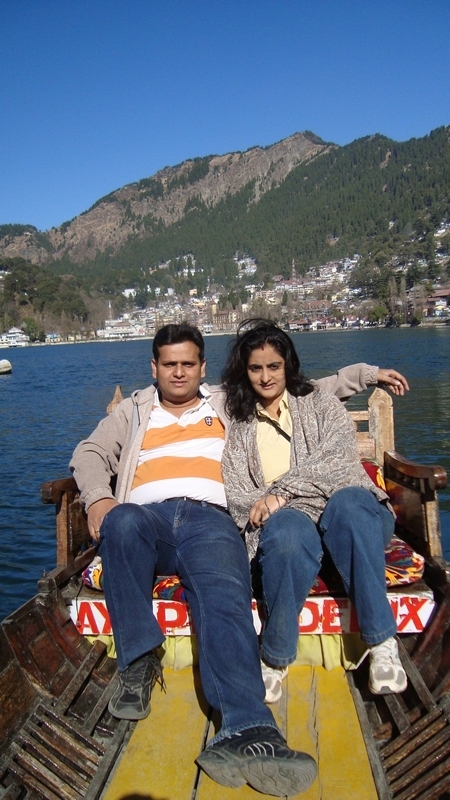 Our hotel was perched atop the hill facing a part of the Nainital Lake. Since this part of the hill is warmer compared to the one facing it and hence, most of the hotels are located on this side of the lake. Since hot water is available only from 7.00-10.00 in the morning, we had enough time to wash up and begin our sightseeing. 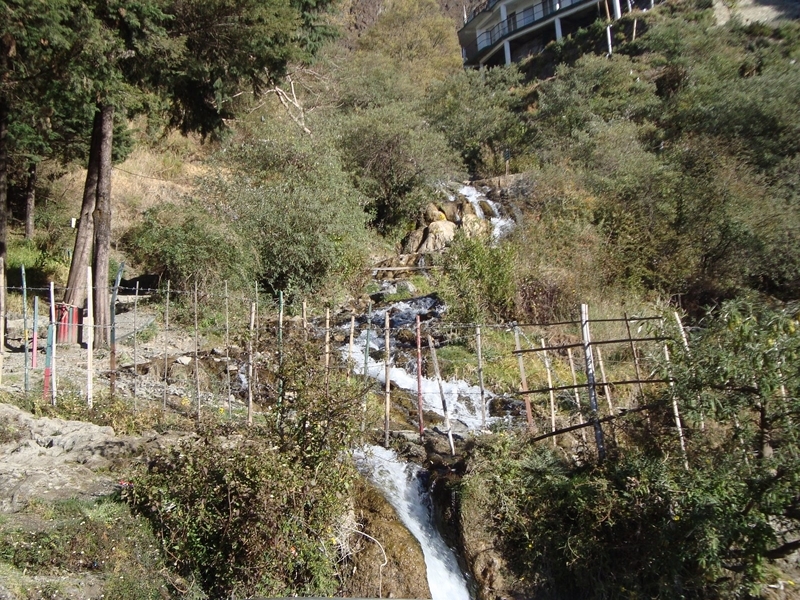 We hired a car from the hotel itself, and set out to explore the foothills of Kumaon. 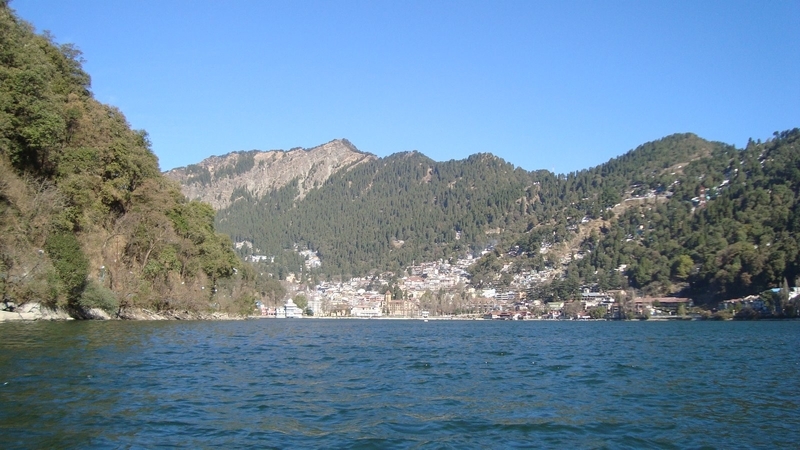 Nainital is surrounded by lakes, and each lake has a fable associated with it. 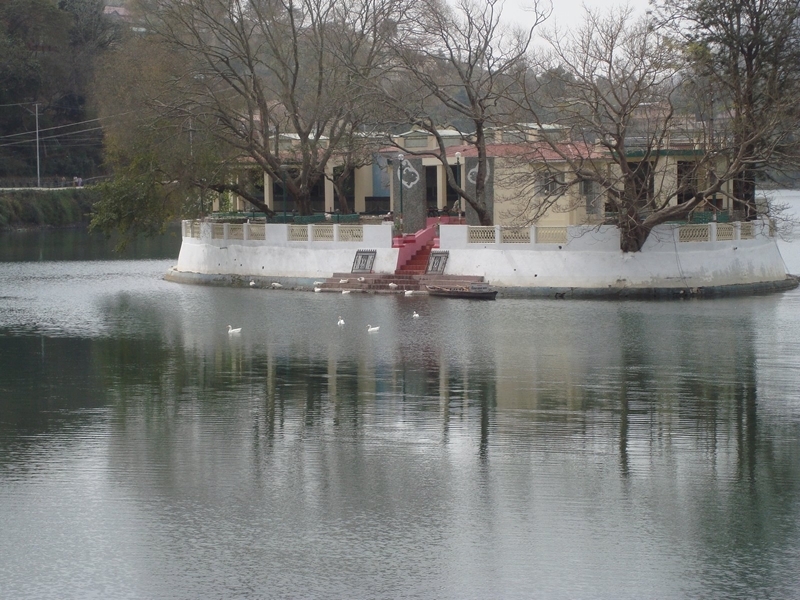 An Island in middle of the Bhimtal Lake In the center of the lake is an island which is said to have a famous hotel. We saw ducks swimming right in front of the hotel. Although the water level was significant low, they seemed to be enjoying themselves quite thoroughly. 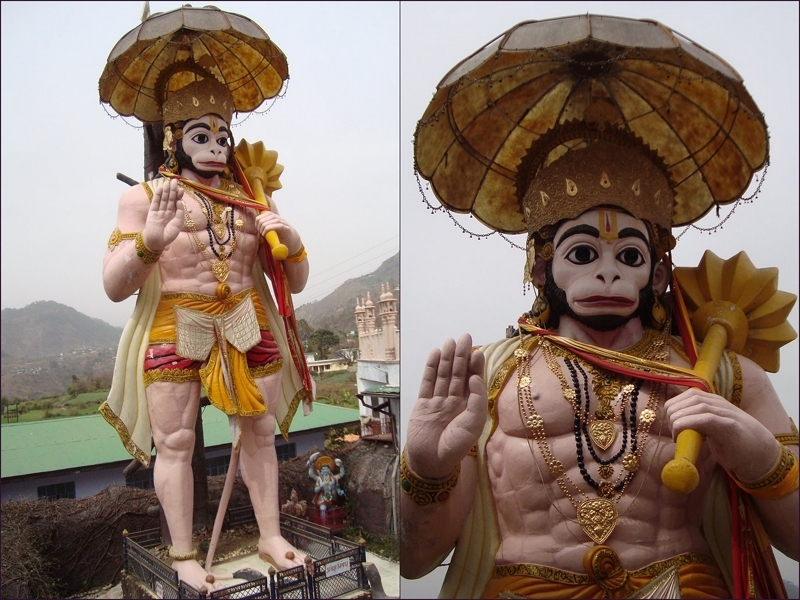 At short ride from the Bhimtal lake is a huge Hanuman statue which can fulfill your wishes. You can make a wish and toss a coin into the pond beneath his feet. Hanuman is a Vanara deity worshipped by Hindus all over the world. The huge statue is usually a good spot to view sunsets. 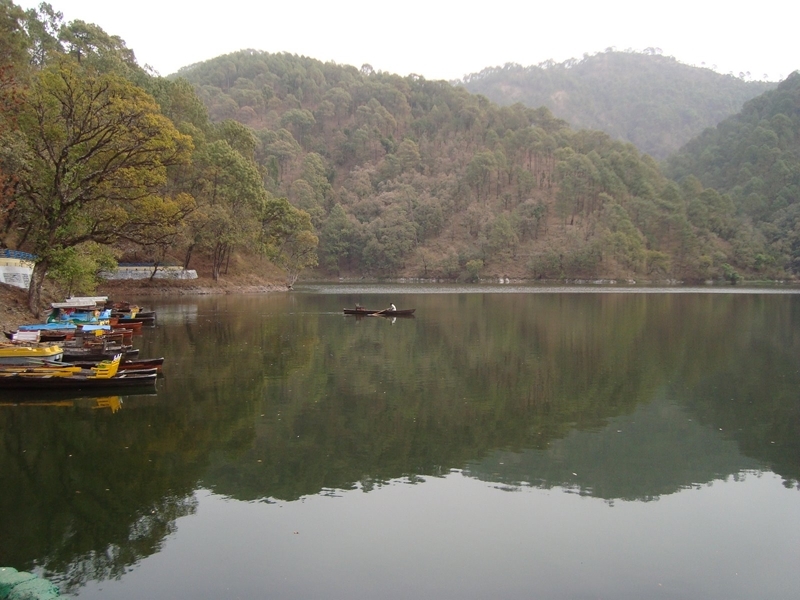 Naukuchiatal is the deepest lake in the lake district of Nainital. Nau-Kuchia-tal means a nice cornered lake. Legend has it that anyone who can view all the nine corners of the lake at once attains Nirvana- the highest form of enlightenment as per Buddhism. We could not find that spot and the water level in the lake was also quite low, as it always is during this time of the year. The perfect time to visit is the rains where the locals say a special type of lotus blossoms in the lake. Like the name suggests, Sat-tal means seven lakes. This lake is formed by seven interconnected smaller lakes. 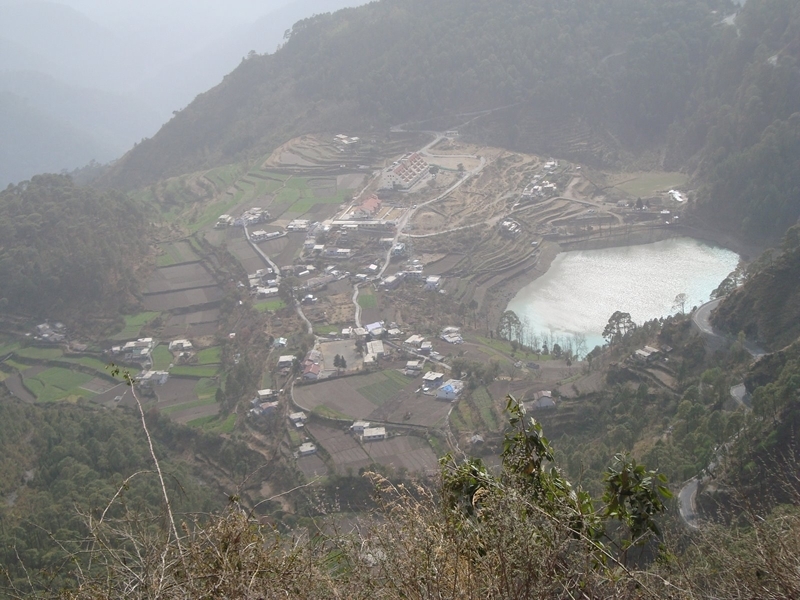 These lakes are Panna or Garud Tal, Nal-Damyanti Tal, Purna Tal, Sita Tal, Ram Tal, Laxman Tal and Sukha Tal or Khurdariya Tal. Each lake has certain mythological legends. For instance the Nal-Damyanti Lake is so named because King Nal allegedly drowned to his death in the lake. The lake offers a soothing boat ride but is better known for a large species of flora, fauna, resident and migratory birds and several butterfly species. The lake is however more popular for adventures and excursions like mountain biking, rock climbing, angling, rafting, rappelling, bird watching, boating, swimming and trekking. Our next stop was this place called the Cave Garden. When Nainital had lesser human population in comparison to the animal life, animals used to find shelter in the various cave scattered across this garden. The temperature inside the caves is incredibly lower compared to the chill weather outside it. There is a canteen in the middle of the garden for quick refreshments. Yes those are real flowers, and could you tell me which bird this is? However the real treat was when we were on our way out of the garden. 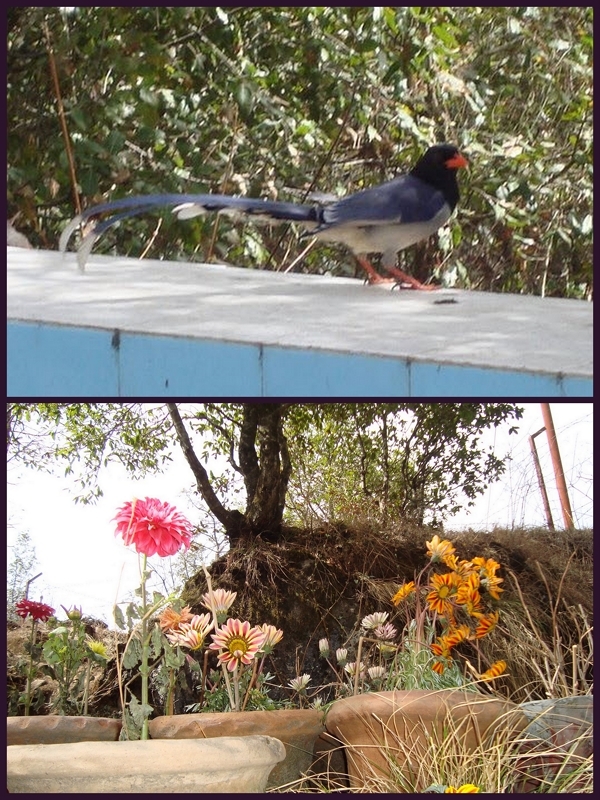 A few paces out of the canteen area lies an inoperative fountain, where we spotted a pair of exotic birds. On our way out we were greeted by beautiful and colorful flowers. After an almost eventless stop at the cave gardens, our journey next took us to the snow point. The snow point is also known as the Himalaya point and on a perfectly good day, you can be lucky enough to catch a silhouette of the Himalayan mountain ranges. We weren’t as lucky because of a thick fog cover, but we still managed to see some snow while at the spot! A Khurpa is a kind of a trowel and if you look at the lake, its shape resembles that of a small garden trowel; and maybe that’s where the lake gets its name from. It is quite known for fishing activities. It has beautiful fields all around it and can be seen en-route the suicide point while travelling from the snow point. Like every other “Hill” station, Nainital also has its own suicide point. Why anyone would travel so far or how they can manage to kill themselves in such a serene spot it completely beyond my comprehension. But the view from this point is fairly pretty, nonetheless. Is it China peak or is it the Naina Peak?? From the suicide point, you can hire ponies to go to the highest peak in Nainital formerly called as China Peak (prior to the infamous landslide in September 1880, the peak offered a panoramic view of the Chinese territory), now the peak is popularly referred to as the Naina peak, named after the Naina Devi temple which was subsequently resorted post the landslide. 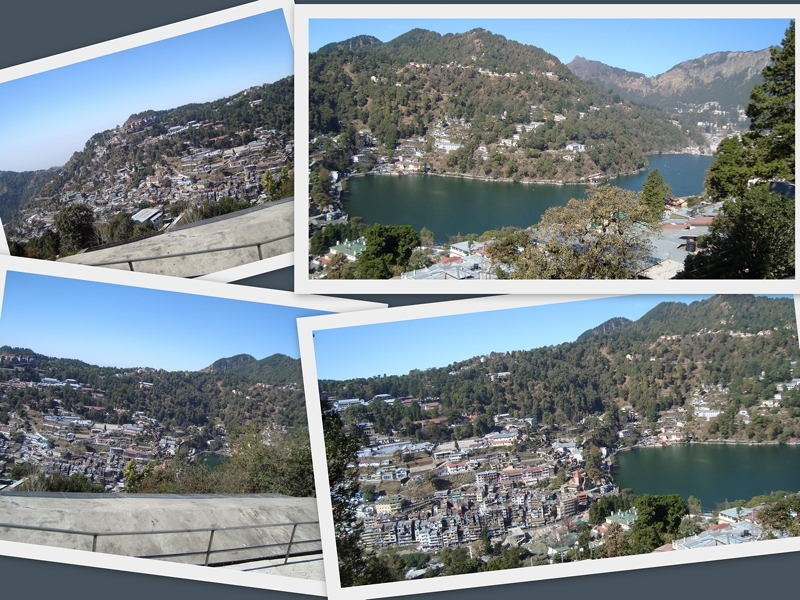 It now gives not only a view of the snow clad Himalayan peaks but a bird eye view of the entire Nainital district. We developed a fear riding horses after out not-so-eventful stay at Katra, Jammu, we skipped that part (with a lot of regret later) of our vacation completely. That was how we ended day one of our journey. 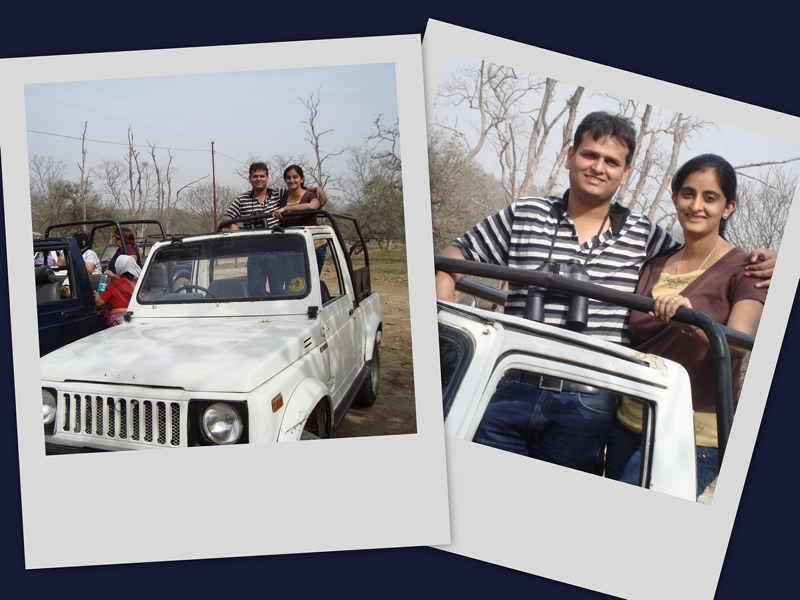 We were eagerly looking forward to day 2, when we would visit the Jim Corbett National Park! If you are a nature enthusiast, then your trip to Nainital without a safari at the Jim Corbett National Park would be incomplete. You can either opt for a three-day safari package where you will be put up in one of the guest houses inside the jungle itself. Or you can opt for a 3-hour ride in an open jeep. There are only 60 jeeps permitted to enter the jungle in a day, 30 at 6.00 in the morning and another 30 at 13.30. The registration office is at the Rampur village and it opens by 10.30 in the morning. You need to fill in the required documents for a jeep to be allotted. You can pick up binoculars on rent for anywhere between Rs.50-Rs. 100—a figure that can go quite high during peak seasons. While we waited patiently for our paper work to be completed, we also managed a quick bite. 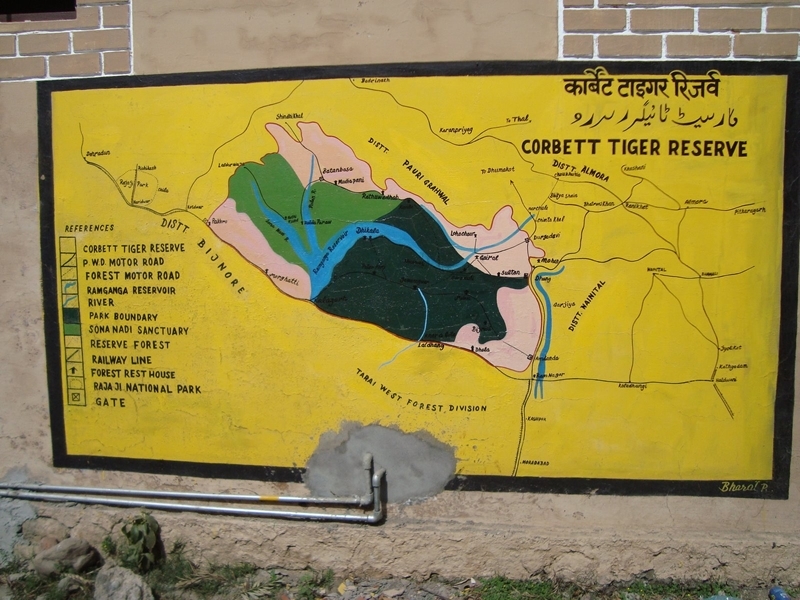 From the souvenir shop, we picked up a documentary on the Jim Corbett National Park, lest we miss out on any of the information we collected before our travel. After a wait of almost four hours, we jump into the back of our open jeep with a lot of excitement and hopes of spotting a tiger. First up we spotted a beautiful blue robin, but he flew away before I could capture a picture on my camera. We managed to see a few of the hundreds of species of exotic birds that this national park spanning over 1300 square kilometers is home to. 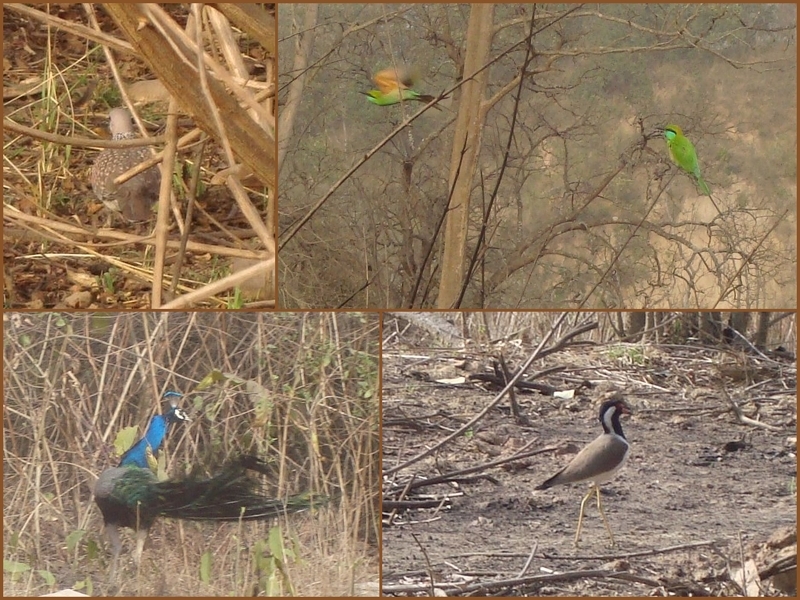 We also managed to see a muster of 3 peacocks, spotted ducks, and little green bee-eaters among other birds. One other thing that caught my attention was the presence of huge ant hills. 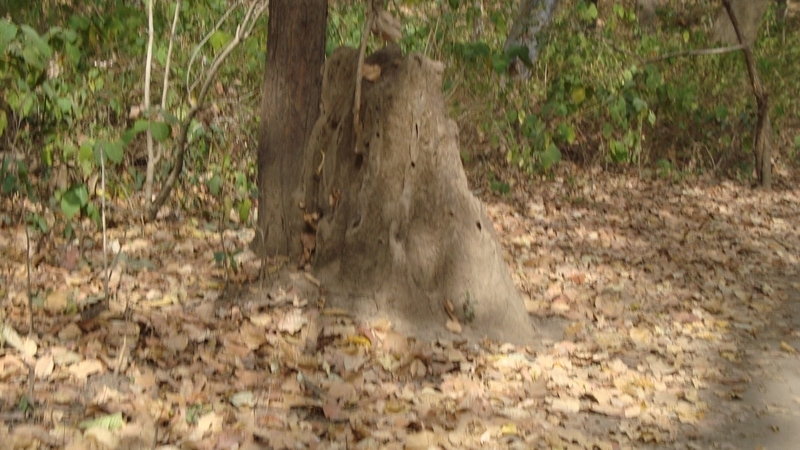 When I quizzed the tour guide about these, he corrected me saying that these weren’t ant hills but termite hills instead which survive on trees which fall during rains or otherwise. 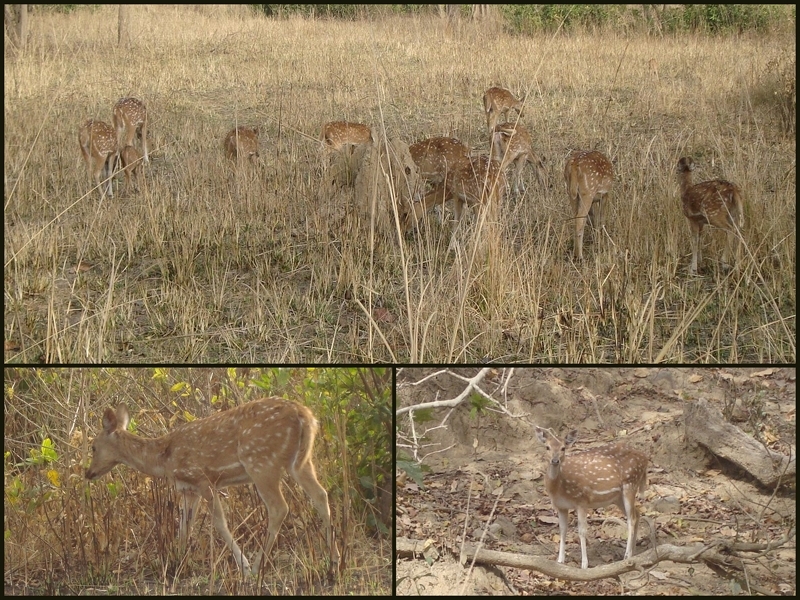 As for the tame animals, we spotted the chitals (spotted deer), sambar and we also managed to catch a glimpse of a herd of elephants passing over a distance of 5-6 kilometers into the dense forest. I couldn’t capture any shots of the elephants because of the distance they were at, but thanks to the binoculars we hired, we could at least manage a quick glimpse. 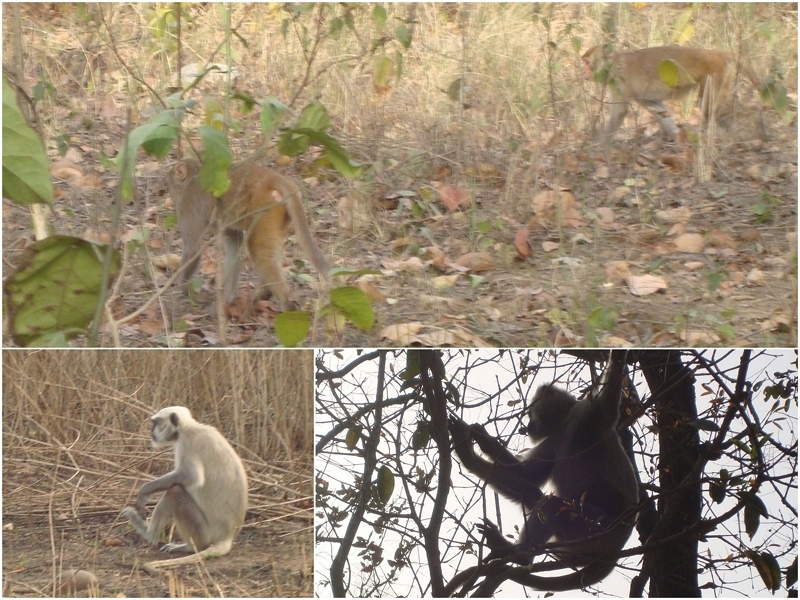 We did manage to spot some species of monkeys as well, that is, the common monkeys and langurs. They are usually present in herds and seem to look at the passing humans with bewildered expression. They looked like they were all set to enjoy the next episode of a boring soap on TV! 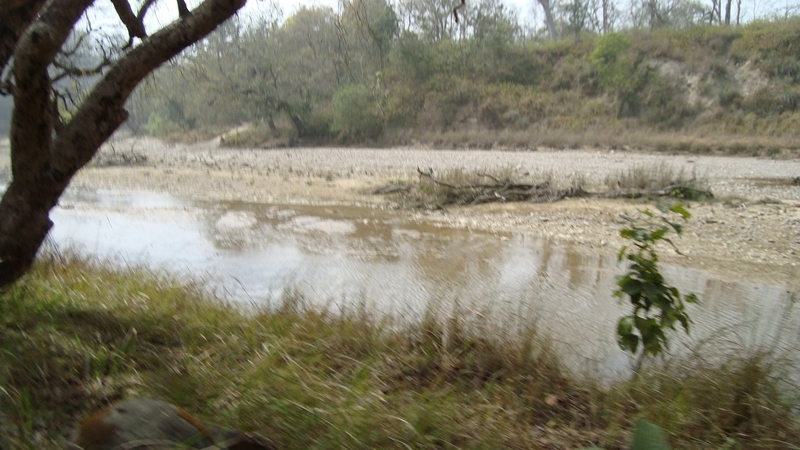 Although the Ramganga River does not flow into this part of the forest, a small stream can be seen around. In the heart of this perimeter of the jungle, we found a watch tower. The forest in this time of the year is covered with yellow hay instead of green luscious grass. There are times when the summer is so scorching, that the hay starts to burn, leading to small forest fires. 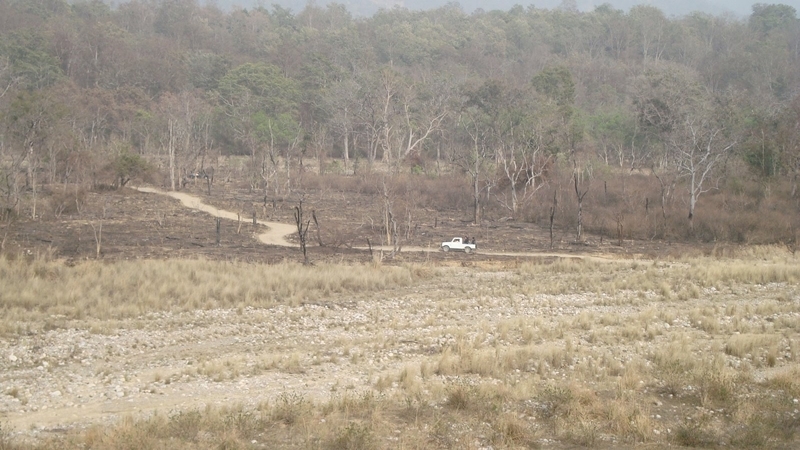 But the forest department is doing a phenomenal job to keep the forest ecologically sound. As our journey came to its last leg inside the forest there was a slight disappointment that we couldn’t spot any tigers. Our guide, sensing our disappointment, quickly reminded us that the forest is so dense that we might find it difficult to spot a wild animal if he stands behind the thick bushes. 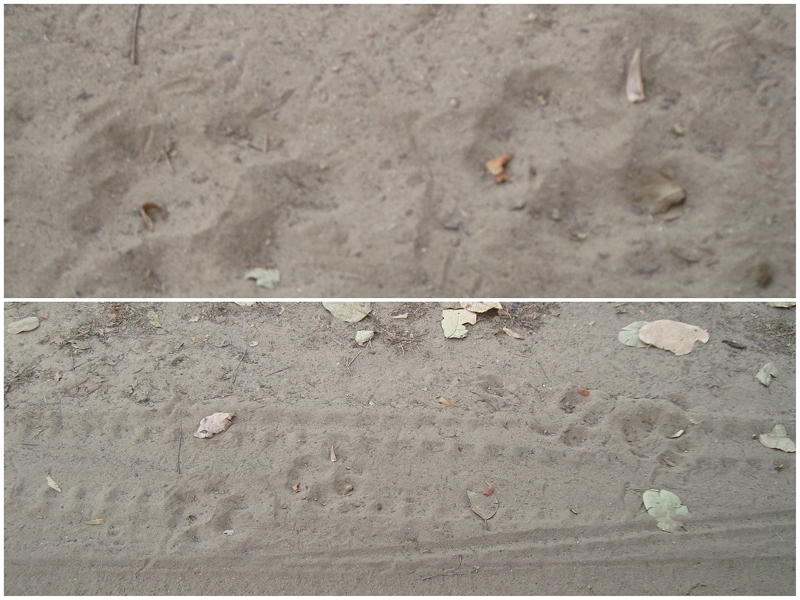 As a consolation though, we did manage to trace fresh pug marks of what appeared to be marks of a tigress (A tiger leaves bigger pug marks than a tigress whose marks are slender small in comparison). We then headed out of the jungle, content and not disheartened…the DVD we purchased set our meeting with the tigers and leopards anyway! When we returned from the long safari, a sign post right outside our hotel caught our eye. It said zoo 1.5 Kms. So the very next day we decided to go pay a visit to what we presumed would be a kiddies day out type of a trip. Well, for starters, reaching the zoo is a trek in itself! You don’t need a guide or any directions to make it, there are arrow markers everywhere to help to reach the destination. The Nainital zoo is actually named as the ‘ Bharat Ratna Pt. 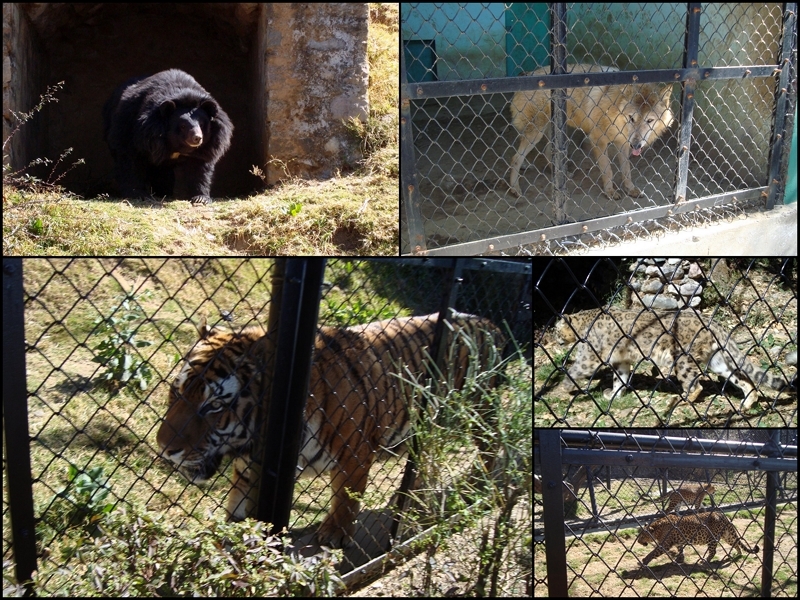 Govind Ballabh Pant High Altitude Zoo, Nainital’ and is managed by a trust with a similar name. Located on the hills called as ‘Sher ka Danda’, the zoo is located at an elevation of around 2100 meters above sea level. 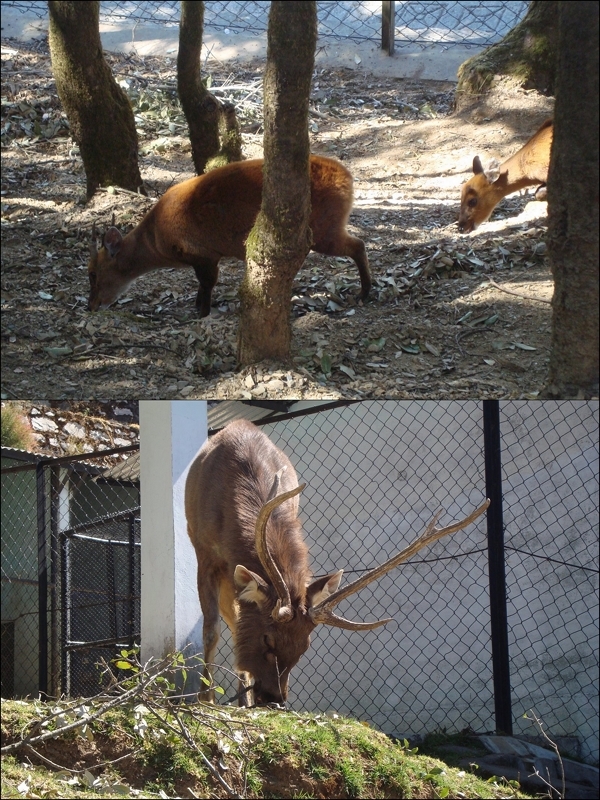 There are markers to help you explore the zoo and it offers a panoramic view of the entire Nainital district. On one side, you can also see the ‘Aries’ high-altitude sky observatory. Named as Aryabhatta Research Institute of Observational Sciences (ARIES), the observatory is an autonomous institute devoted to research and development in Astronomy & Astrophysics and Atmospheric Sciences. The Institute is funded by the Department of Science and Technology (DST), Government of India. 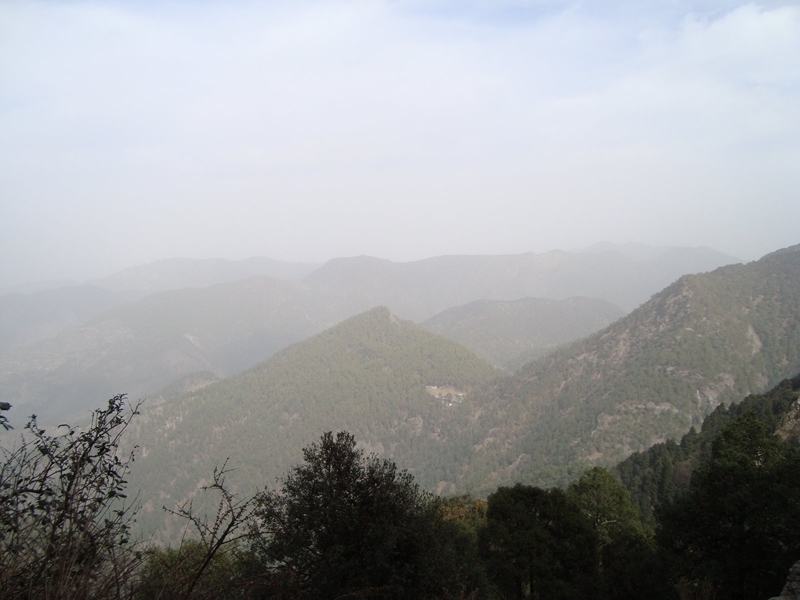 If you want to visit the observatory, it is situated on the Manora peak around 1 km. from Hanumangrahi. Although is it open to visitors, night viewing requires prior written permission. 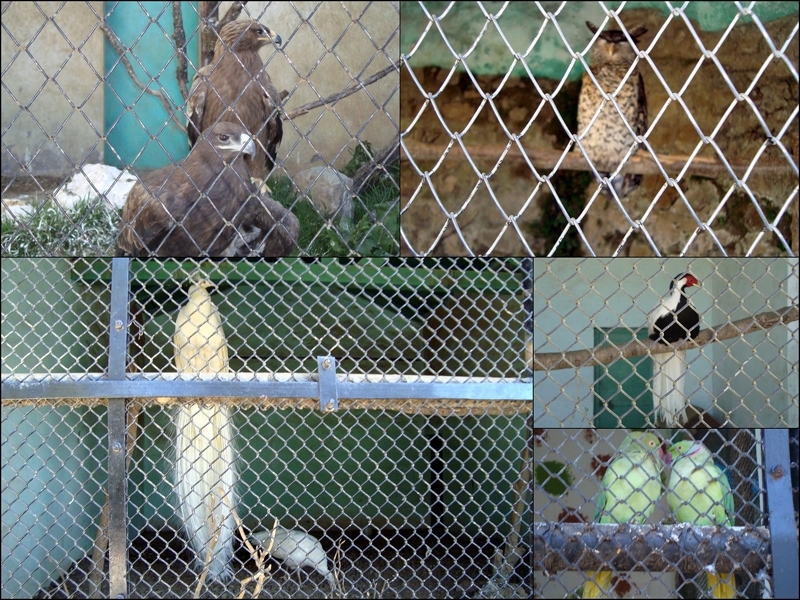 The zoo is not only home to a variety of birds and animals, but is also home to rich variety of flora and rare trees. The zoo has various pheasants on display. Apart from common birds like roasters, chickens and parrots, you will also find barn owls, eagles, and white peacocks among other exotic birds. Apart from the regular monkeys, you can also catch a glimpse of the Japanese Macaque breed of monkeys. 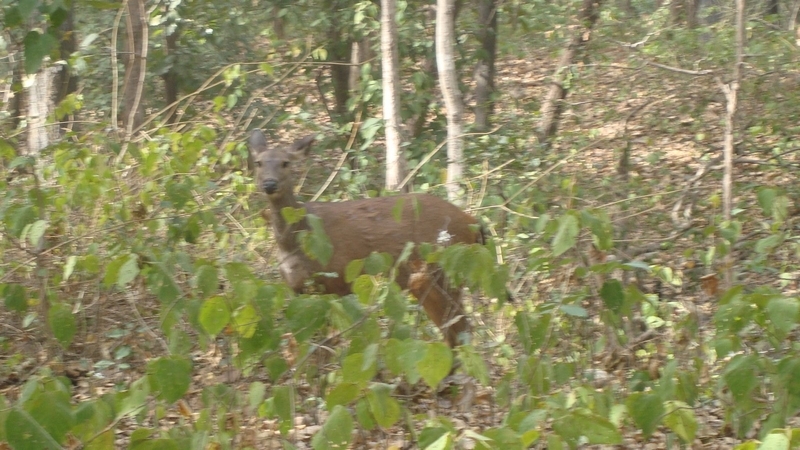 We also managed to catch a glimpse of the other two species of deer found in the Jim Corbett National Park forest reserve, that is, the Kakar or Barking Deer and a full grown sambar deer as well. 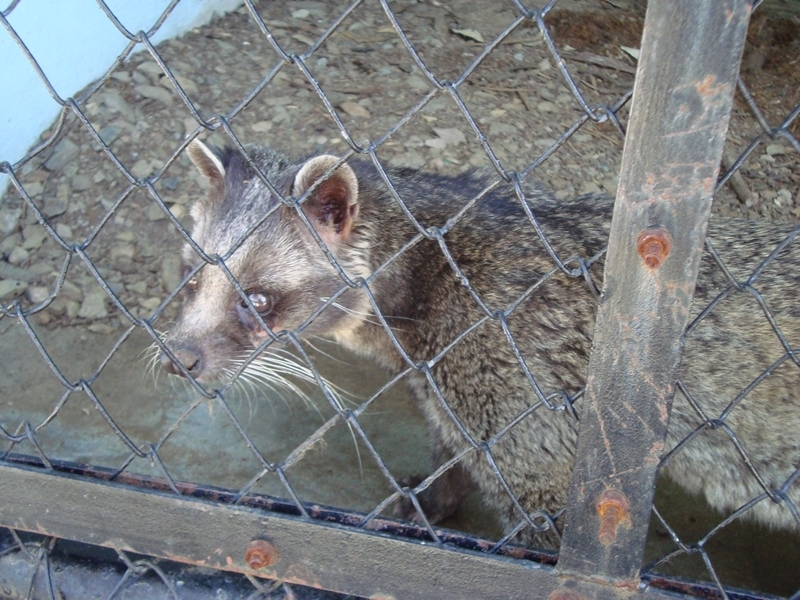 There are several species of rodents like raccoons also in the zoo. As for the wild animals, there are Himalayan bears, snow and regular leopards, royal Bengal tigers, and the arctic dog to look at. There was a new entrant in the zoo while we were passing by. A tiger from the Jim Corbett National Park forest reserve had turned man-eater and hence was sent to the zoo. 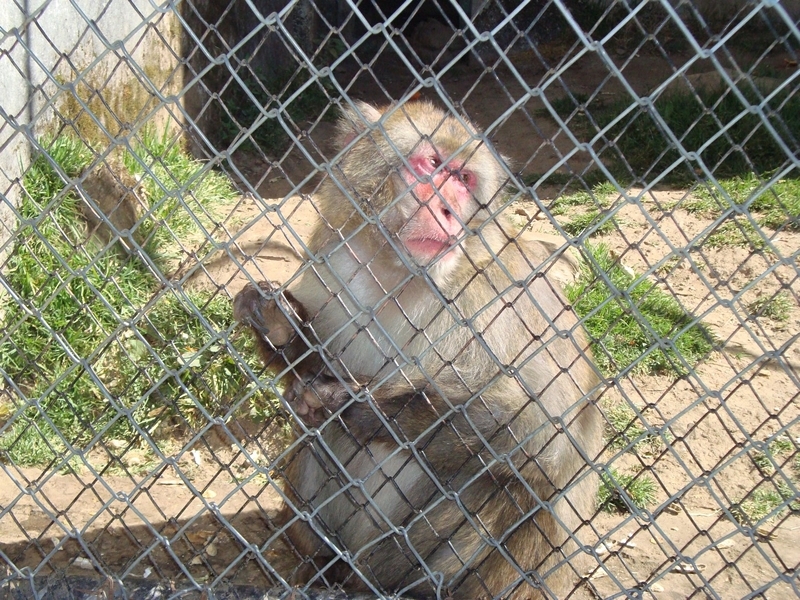 He wasn’t in one of his best of moods, so he was locked away from prying visitors. His loud roars, however, reminded us constantly of his presence. And once we were out of the zoo, it was time for a ride in the lake. 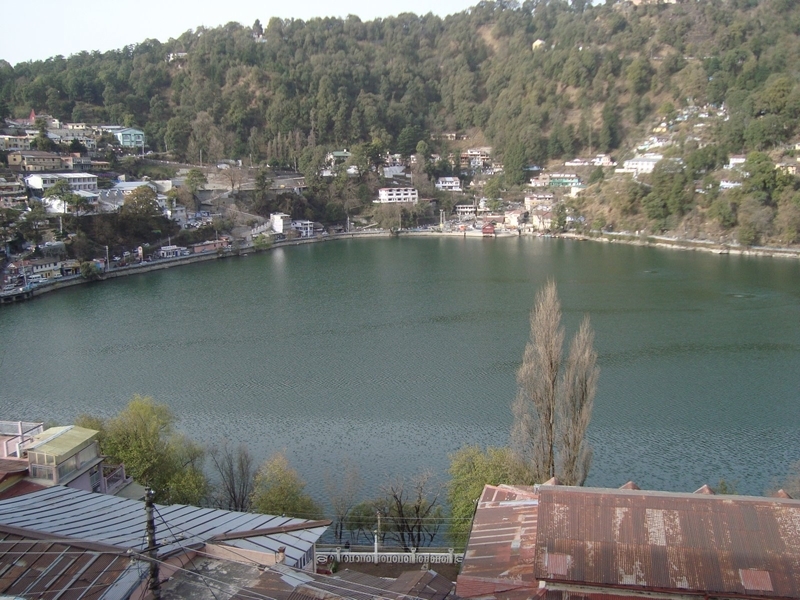 The beautiful lake in the middle of Nainital is from where a part of the name of this district is derived (Tal means lake). 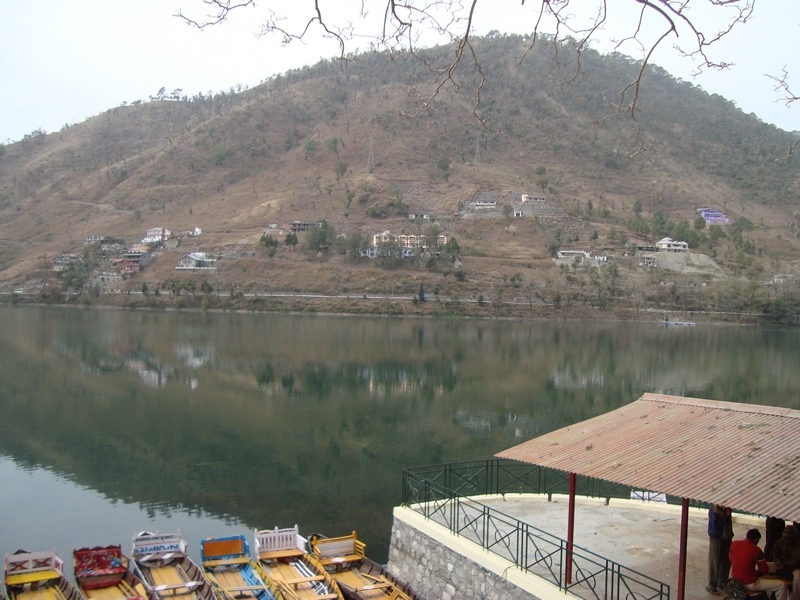 According to the Hindu mythology, Naini Lake is one of the 64 Shakti Peeths where parts of the charred body of Sati (Parvati) fell on earth while being carried by Lord Shiva. 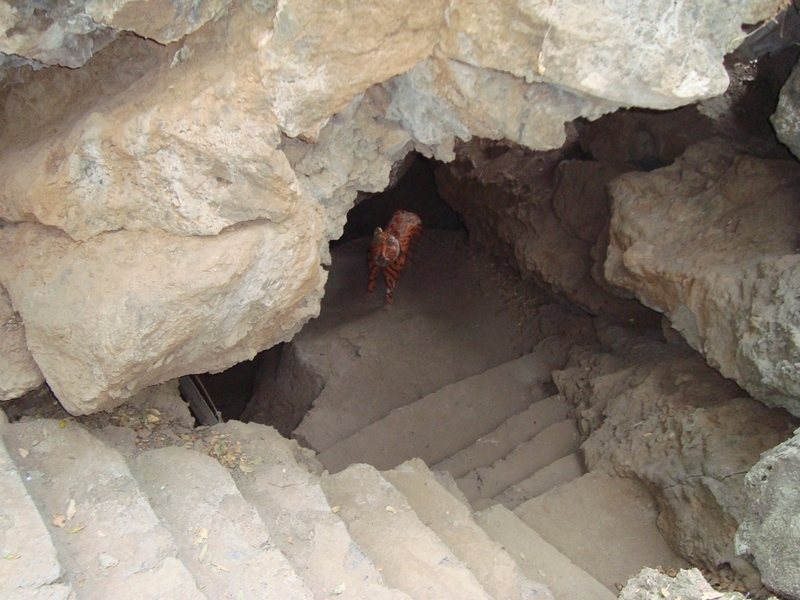 The spot where Sati’s eyes (or Nain) fell came to be called Nain-tal. 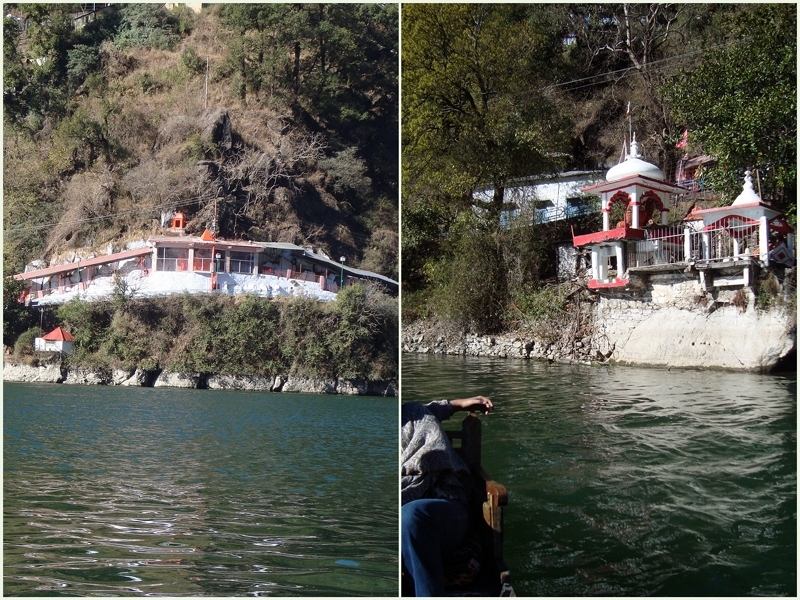 The Naina devi temple is situated on ‘Naina Peak’ side of the lake has been a place of worship for many years now. The temple was also demolished in the 1880 historic landslide, but has been rebuilt since. 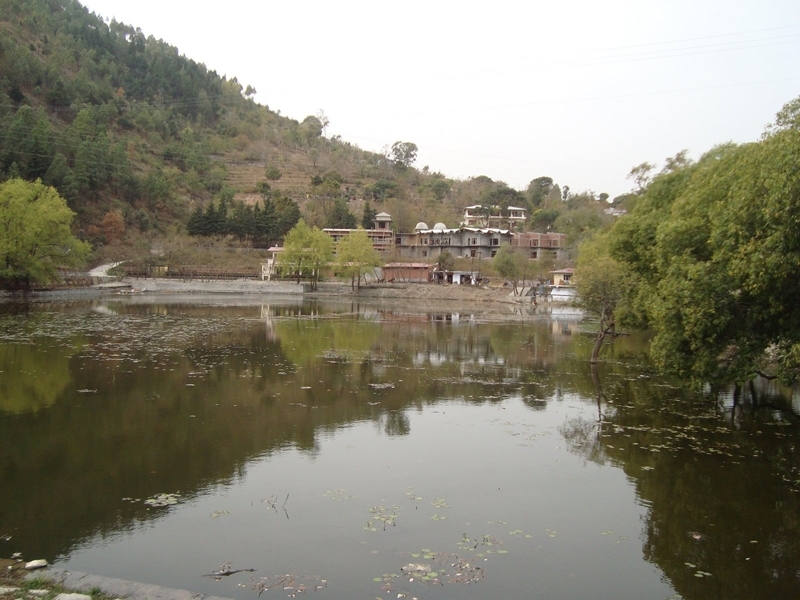 According to Buddhist beliefs and popular folklores, the Nainital Lake is also known as the Tri-Rishi-Sarovar, where three rishis, Atri, Pulastya and Pulaha, who came to this particular location and on finding no water to drink dug a large hole and filled it with water from the holy lake Manasarovar in Tibet. 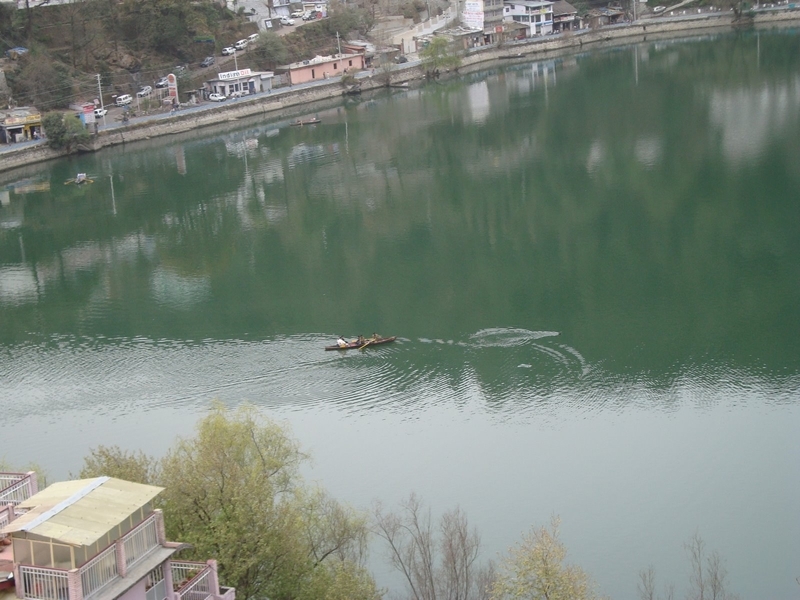 And hence it is believed that a dip in Naini Lake is equivalent to a dip in the Mansarovar itself. On the bank at the other side of the mall road is a Hanuman temple. The specialty of the temple is that it is one of the few temples with the idol in a lying down position and it is made of Rudraksh. What a beautiful back drop! You can either opt of a self-peddle boat or one with a rower. We took two trips at the lake in the rowing boat. The 'sea chicken' before he took a 'holy plunge'(above). A pair of swans swimming in the lake (below). On a good day you can see swans and ducks in the lake as well. 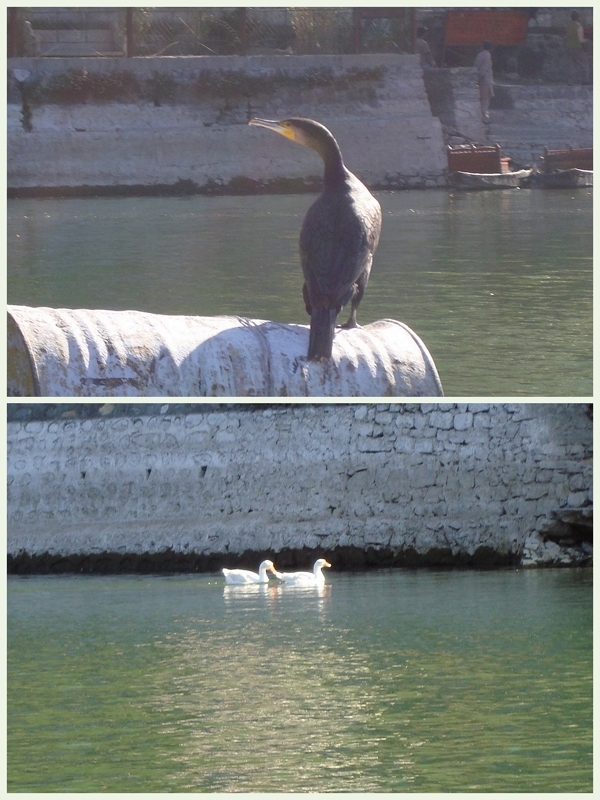 We spotted a duck which is known as a water chicken. We woke up early on the last morning of our wonderful stay, and our beautiful destination gave us no reason to be grumpy. As we woke up with the rising sun, it was a view that could not be missed at any cost! What a beautiful way to end the perfect vacation! 03rd March – 06thMarch, 2009.